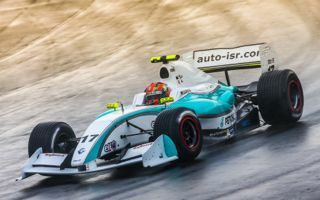 Leading Malaysian racing driver, Jazeman Jaafar, heads off to Jerez in Spain this week for the final round of the 2014 Formula Renault 3.5 Series. As the championship reaches its conclusion, Jazeman is looking to finish his season with two strong races. The Circuito de Jerez in Andalusia is a favoured track of many series, with the technical challenges of the circuit combined with the warm weather of the region, proving to be a great venue for top level motor racing. It has featured on the Formula Renault 3.5 Series calendar for many years and is a popular track for Formula One testing. Jazeman looks ahead to his final two Formula Renault 3.5 Series races of the year saying, “I can’t believe we’re already reaching the season finale – it doesn’t seem so long ago that we were just starting out in Monza – how time flies! I really enjoy Jerez as the track really does have long sweeping corners, without any chicanes to break the rhythm, and that makes it quite fast too. With eight right-hand and five left-hand corners, there’s plenty to keep me busy behind the wheel. The race weekend starts on Thursday for Jazeman, when he will arrive in Jerez to walk the track with his engineers. This is his first chance to reacquaint himself with the circuit layout, before getting in his FR 3.5 car for the first practice session the next day. With two practice sessions on Friday to prepare, Saturday and Sunday feature a qualifying session and 40 minutes race on each day. The World Series by Renault is broadcast worldwide, with live and recorded highlights on Eurosport in Asia and Europe. Check listings for full details.